Here in Ard Scoil na nDéise we feel very strongly that it is important to share leadership throughout the school community. With that in mind, every year we appoint a team of Fifth Year students to act as mentors to our new First Year students. We call these student mentors our Cáirde Girls. The Cáirde Girls go through a rigorous selection process. This begins with them attending an information session in school before the application process begins. 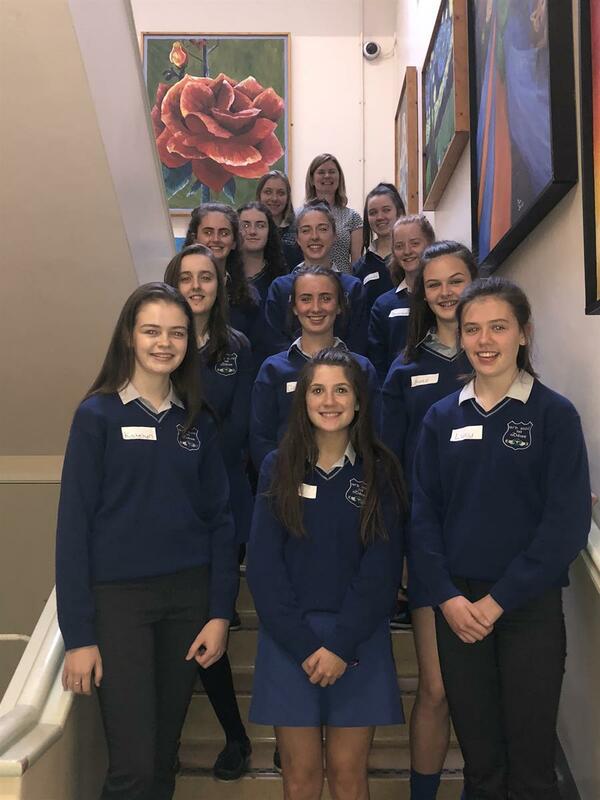 This information session is given by the Cáirde girls who are coming to the end of their term of office and at this point they share their experiences of the role with the girls who are considering applying for the role. Following this, prospective Cáirde girls must fill in a written application and attend an interview with the Principal, Ms. O’Keeffe and Ms. Gleeson who is responsible for training and mentoring the Cáirde Girls when they have been appointed. Following the interview process, a team of Cáirde Girls is appointed and sent for a full day of professional leadership training in Cork in May of the year before they take up their duties. The hard work begins in earnest in August when the Cáirde Girls return to school before the rest of the student body to do some further training and to prepare for the First Year Induction Day. The Cáirde Girls are the first people to greet our new First Years when they start school in September. They play a huge part in the induction of our new students and are involved in everything from tours of the school, to ice-breaker games, to table quizzes to help the girls get to know each other. They even give up their lunch breaks to help organise lunchtime clubs and activities for the First Years. We are hugely grateful to our Cáirde girls for all that they do for our new students. They give so much of their time to their duties and can frequently be found visiting the First Year classrooms and checking in on the First Year students to ensure that they are settling in well. The Cáirde Girls truly embody our Mission Statement of ‘Reaching our potential with respect, care and friendship’ and they act as wonderful role models for our younger students. We are truly blessed to have so many students who are so eager to take on the role of Cáirde Girl and we thank them for all that they do for our school community.